Directors General of the Association of International Research and Development Centers for Agriculture (AIRCA), a nine-strong grouping focused on increasing food security by supporting smallholder agriculture and rural enterprise around the world, gathered recently at an annual meeting at the FAO HQ in Rome, Italy, to discuss joint initiatives on agro-diversification for 2017. During the meeting on 10 February 2017, the alliance members deliberated over one of their main initiatives called the Global Action Plan on Agricultural Diversification (GAPAD) that was proposed at the COP21 UNFCCC Climate Meeting in Paris in 2015. GAPAD is designed to support the United Nations Sustainable Development Agenda 2030 by showing how agricultural diversification can help achieve food security and nutrition, alleviate poverty and provide new opportunities for more environmentally sustainable agricultural systems. Chaired by Prof. Sayed Azam-Ali, CEO of the Crops For the Future and the newly elected Chair of the AIRCA, the discussions were attended by directors general of the AIRCA member organizations, including Dr. Ismahane Elouafi of the International Center for Biosaline Agriculture (ICBA). The AIRCA directors general also held a high-level meeting with the FAO Director General Dr. José Graziano da Silva to discuss the need to diversify the global food basket beyond the world's major staple crops. 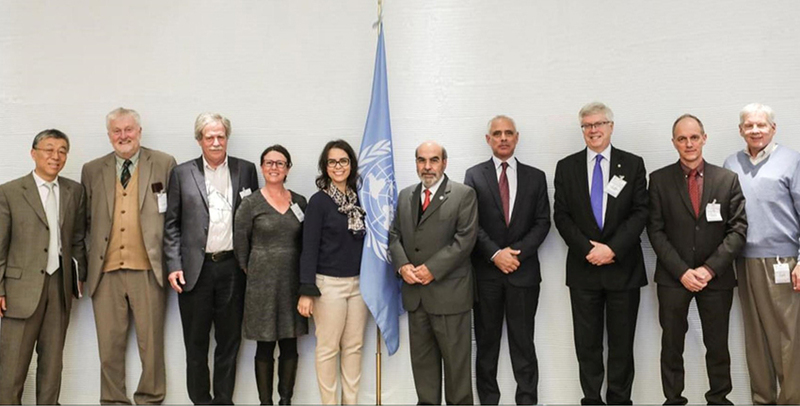 For his part, Prof. Sayed Azam-Ali said: "It was an honor for us to have such a positive meeting with Dr. José Graziano da Silva and explore how AIRCA can work with FAO to deliver a global evidence base for dietary diversification. We are excited by the FAO DG's vision to promote 'forgotten foods' that are nutritious and desirable to consumers. We also look forward to working with FAO on how GAPAD can help meet the agricultural needs of a hotter, more volatile world." Since its inception in 1999, ICBA has worked in partnership with national, regional and international organizations to implement programs in more than 30 countries.